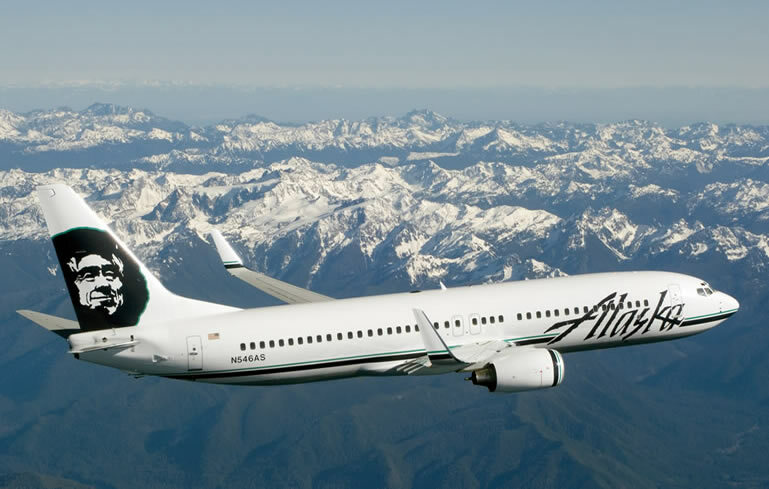 The newest members of the Boeing 737 family - - the 737-600/-700/-800/-900 models -- continue the 737's pre-eminence as the world's most popular and reliable commercial jet transport. The 737 family has won orders for more than 6,000 airplanes, which is more airplanes than The Boeing Company's biggest competitor has won for its entire product line since it began business. The 737 - a short-to-medium-range airplane - is based on a key Boeing philosophy of delivering added value to airlines with reliability, simplicity and reduced operating and maintenance costs. The Next-Generation 737 models build on the strengths that made the 737 the world's most successful commercial airliner, while incorporating improvements and value-added technology designed for the 21st century. Advanced technology winglets allow airlines to save on fuel, extend its range, carry more payload and reduce engine maintenance costs. 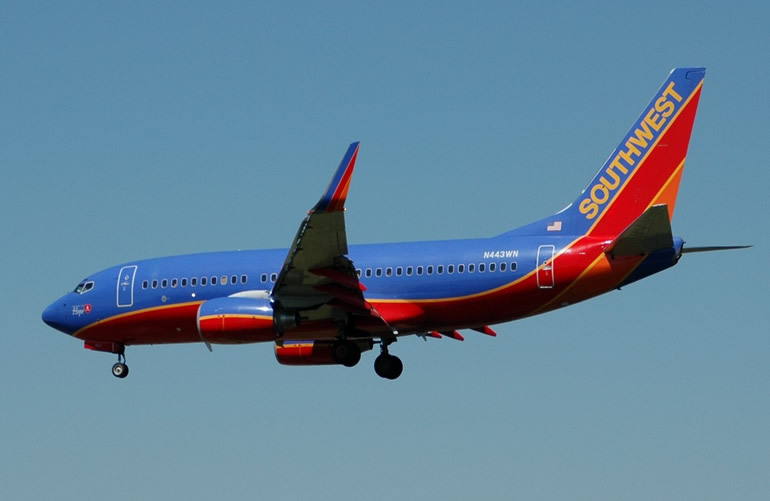 Blended winglets are wing tip extensions which provide several benefits to airplane operators. The winglet option increases the Next-Generation 737's lead as the newest and most technologically advanced airplane in its class. The passenger cabin on the Boeing Next-Generation 737s has a new look, providing passengers with comfortable, aesthetically pleasing surroundings. 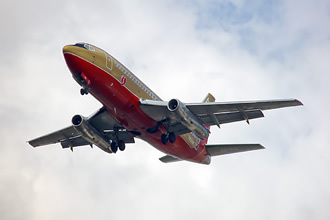 The 737-700C (Convertible) is the first member of the Boeing Next-Generation 737 family to be offered in both an all-passenger and all-cargo layout. The 737-700C highlights the outstanding flexibility of the 737 family. The Boeing 737-900ER is the newest member of the Next-Generation 737 airplane family. 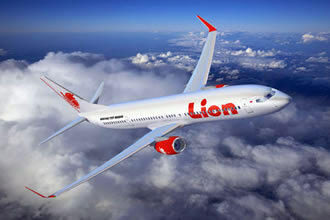 The higher capacity, longer-range derivative of the 737-900 was launched on July 18, 2005 with an order for 30 airplanes from Indonesia 's Lion Air. 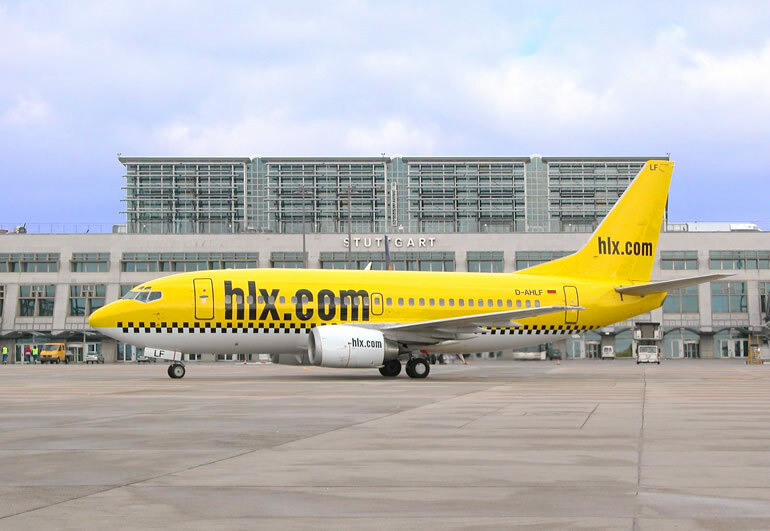 Did you know about 50 gallons of paint are used to paint an average 737? Once the paint is dry, it will weigh approximately 250 pounds. 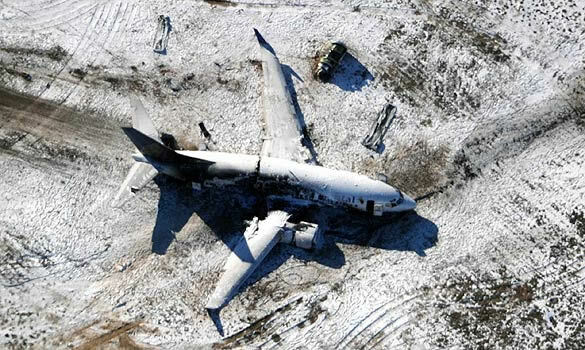 Dec 20 - At least 58 people were injured in the a plane crash in Denver which firemen compared to a scene from a disaster film. 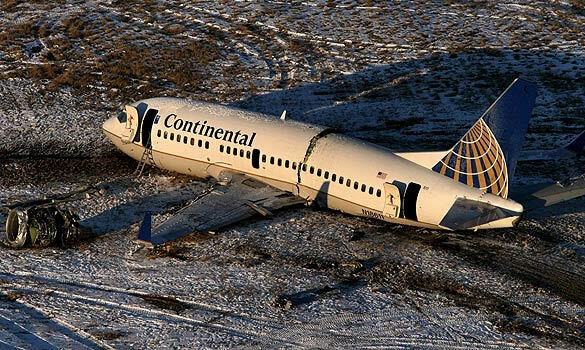 The Continental Airlines Boeing 737 went off the runway during takeoff from Denver International Airport in Colorado, plunging into a ravine and shearing off its landing gear and left engine. 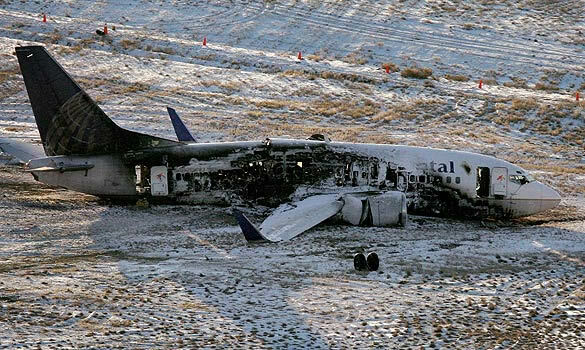 The entire right side of the plane was burned, and melted plastic from overhead compartments dripped onto the seats. Investigators said the plane's left engine was ripped away along with all the landing gear.